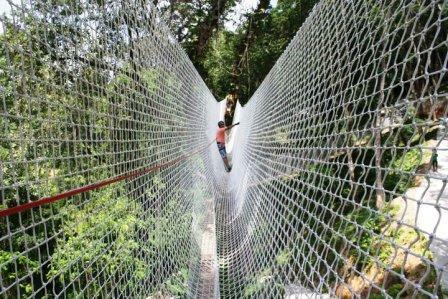 Swinging between the rain forest trees was once the domain of the gibbon monkeys in Phuket. 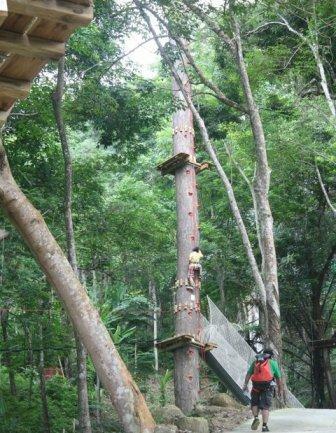 XtremeAventures now provides one of the best outdoor activities in Phuket for challenging your mates, family fun or team building activities on the Island. Safety is paramount for the team at XtremeAventures with all guests required to go through an initial training complete with all safety equipment including overalls, harness and gloves. At all times, you remain protected by a safety line or safety net in case of slips or falls. Trained guides roam around the park ensuring that safety methods are always used. 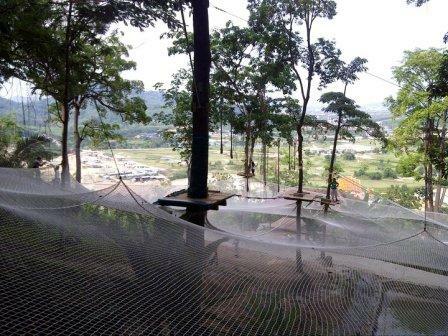 The ropes course in this tree top adventure park offers a good mixture of fun adventure climbing for kids and for the more adventurous the high ropes course. In total there are 69 tree top stations joined by suspended bridges, flying foxs, barrel climbs, tightrope walks, rope bridges, net bridge walks just to name a few of the activities. Personally I would find the high ropes course a challenge, just climbing the tree to the start position would get my heart racing. 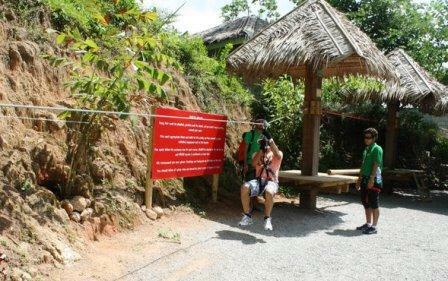 I would have to rate the tree course at the top of Phuket adventure sports, and in the Top 10 of outdoor activities, fun and adventurous things to do in Phuket. 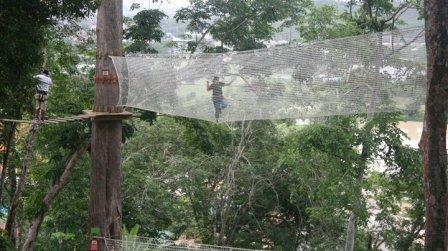 XtremAventures Phuket is located near Big Buddha and Luang Pu Suppha Temple on Chaofa Road. If you would like more information about this fun and exciting adventure sport, such as prices give the guys at Xtremadventures a call or send them an email.